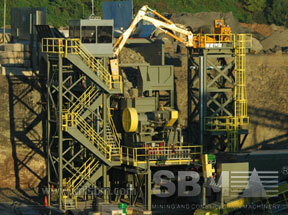 More advanced than ordinary jaw crushers, Our jaw crushers are better choice for crushing. 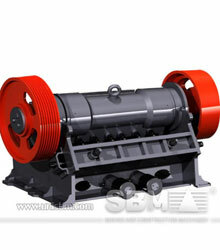 primary jaw crusher is usually used as secondary crusher in the crushing circuit. SBM jaw crusher is double toggle jaw crusher and consists of a main frame and two plates which move like jaws and adjusted to an intense angle to each other. PEW Series jaw crushers are crushing without rubbing Minimum dust Oil lubrication, devise having Oil/Grease lubrication system. Both jaw plates are adjusted to an intense angle to each other. Raw materials are fed into the opening of the jaw crusher and movable plate moves relatively towards another fixed jaw. Jaw crushers are running on belt drives driven by an electric motor or diesel engine which making motion by the action of toggles and pitman. Finally the raw materials are processed into the products we want. As the world's largest iron ore mine, the Carajás Mine holds 7.2 billion metric tons of iron ore in proven and probable reserves. The Carajás Mine is located in the state of Para in Northern Brazil and is fully owned by Brazilian miner Vale (CVRD). After discovered, the Carajás Mine was soon found as the richest reserves and concentrations of iron ore anywhere in the world. PEW Series jaw crusher is designed based on PE Series jaw crusher with European advanced technology. It can process iron ore easily as it can process raw materials with pressure resistance even higher than iron ore.
"The professional service with installation, maintenance and operating demonstration is really thorough." Located in the west of Guinea, Cie des Bauxites de Guinée's (CBG) operations are close to the border with Guinea-Bissau and are the largest single producer of bauxite (aluminium ore) in the world. The operation was continuously supported bauxite for export. In bauxite crushing, PEW Series jaw crusher is widely used. PEW series jaw crusher can crush materials with the pressure resistance strength below 320Mpa. As bauxite is mainly used to metallurgy aluminum, PEW Series jaw crusher helps to process bauxite ore into the right size. "SBM is a global supplier of sustainable technology and services for mining, construction, power generation, automation, recycling and the pulp and paper industries." Tailored solutions to meet your needs and market. Protect your profits with quality parts and expert service. Have feedback on our products or our website? Contact the 7X24 online agent on the right sidebar!